Dennis A. Estis - Mediator & Arbitrator based in Iselin, New Jersey. Please click your preferred available date to submit a request. Your Appointment Form will be sent to Dennis' assistant, Kerry St. John. Dennis A. Estis is a partner in the Litigation Department of Greenbaum, Rowe, Smith & Davis LLP, where he is a member of the Alternative Dispute Resolution Practice Group and chair of the Construction Practice Group. He has served as an arbitrator, mediator and partnering facilitator for numerous private and public entities and has participated as both an advocate and as a neutral in hundreds of mediation proceedings in the course of his 40+ year career. An American Arbitration Association (AAA) trained mediator and arbitrator, Mr. Estis sits on the AAA’s national panel. 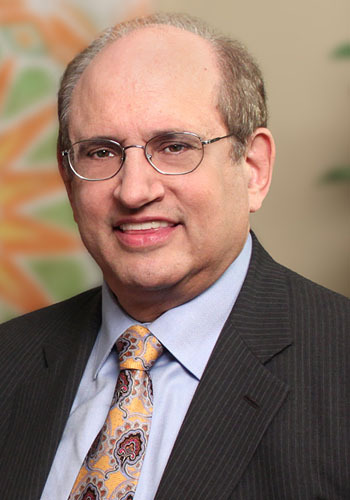 He has been listed on the Superior Court of New Jersey’s List of Civil Mediators since 1998 and on the federal level, was included on the Roster of Arbitrators for the U.S. District Court, District of New Jersey for more than ten years. Mr. Estis is a member of the American Bar Association, and is a former co-chair of the Construction Litigation Committee of the ABA Sections of Litigation and Dispute Resolution. He was a member of the Ethical Standards for Mediation Task Force of the Section of Litigation, which in conjunction with the Dispute Resolution Section was instrumental in attaining approval of the Mediator Ethical Standards by the ABA House of Delegates. Mr. Estis has lectured extensively on a broad range of legal issues, including alternative dispute resolution, for organizations such as the American, New Jersey and Middlesex County Bar Associations, the ABA Forum on the Construction Industry, the Community Associations Institute, the New Jersey Institute for Continuing Legal Education, and the Litigation Counsel of America. He is listed in The Best Lawyers In America in six practice areas and was named by Best Lawyers as 2016 Woodbridge "Lawyer of the Year" in Construction Law, as 2014 Woodbridge "Lawyer of the Year" in Construction Litigation, as 2013 Woodbridge "Lawyer of the Year" in Construction Law, and as 2010 Newark "Lawyer of the Year" in Construction Law. He has been listed in New Jersey Super Lawyers in the Construction Litigation practice area since 2005 and was named by Super Lawyers as one of the Top 100 Lawyers in New Jersey in 2016 and 2011. Mr. Estis is Peer Review Rated AV Preeminent by Martindale-Hubbell and is listed in Who’s Who Legal in the Construction Law practice area.